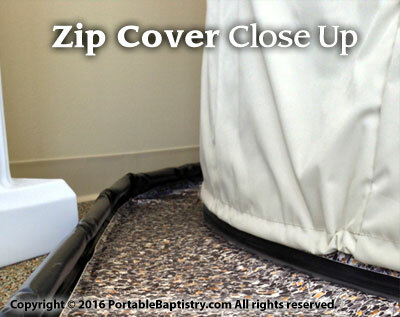 The Portable Baptistry Zip Cover is the ultimate protection for your Portable Baptistry. Made of durable yet lightweight polyester, it helps keep your Portable Baptistry dust free and scuff free when not in use. And, for handy storage, the Zip Cover easily and compactly folds up. A built-in adjustable drawcord allows you to cinch the Zip Cover tight on the Portable Baptistry, and an elastic hem around the bottom maintains a snug, smart fit. 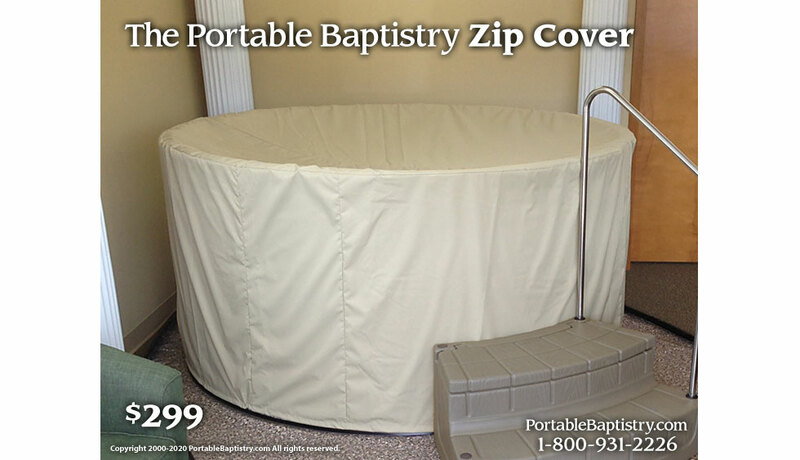 As the name implies, with the built-in side Zipper, the Zip Cover can be easily installed when the Portable Baptistry is filled with water and the Thermal Cover is floating in place, or when the Baptistry is empty. 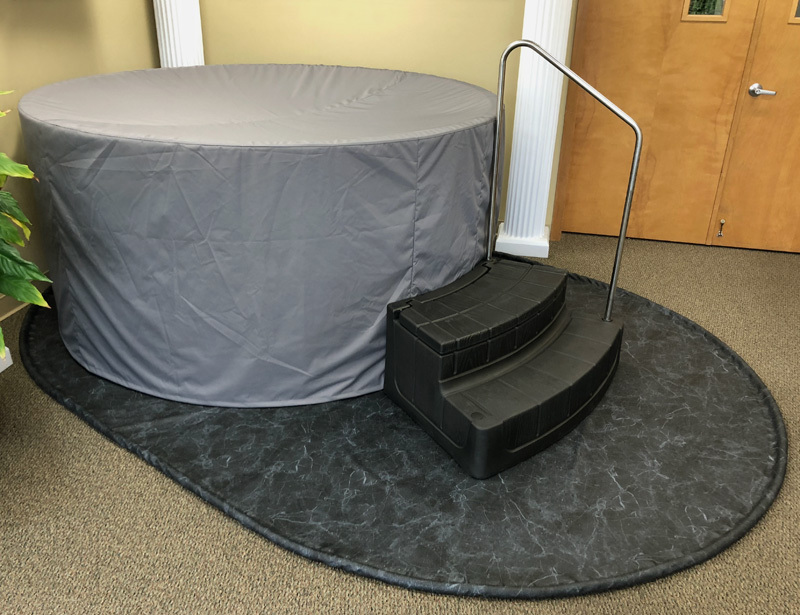 NOTE: Always use the floating Thermal Cover on the Portable Baptistry for maintaining water temperature and optimum insulating efficiency. Which color Zip Cover is right for you?